When one looks at alcohol abuse and domestic violence, it is easy to see that there are connections between the two behaviors. Often the violence in the home is accompanied by excessive drinking of moderate to substantial amounts of alcohol over a long period. While the drinking is not usually the cause of the violence, it can make the situation more volatile, increasing the severity and frequency of the abusive episodes. The rise in abuse happens because the cost of alcohol increases stress on the family and reduces the usual common sense blocks on socially unacceptable behaviors. In other words, when one is intoxicated, violent feelings and tendencies are exacerbated by the loss of inhibitions and increase in stress. Meanwhile, while the drinking can make the violence worse, it may also become an escape for the abused person, which in turn escalates the cycle of domestic violence even further. This violence can affect any children exposed to the situation in many negative ways. According to the Women's Rural Advocacy Program, alcohol abuse combined with domestic violence often results in increased injury to the battered spouse, and the Connecticut Clearinghouse says that among risk factors for domestic abuse everyday drinking is a leading one. Researchers have concluded that Eighty-seven percent of all program directors in the United States believe that risk for domestic violence increases when both spouses drink (Collins and Spencer, 2002). One 1994 study by the Department of Justice discovered that over half the defendants accused of murdering their spouse and been drinking at the time the murder occurred (Bureau of Justice Statistics, 1994). And according to Alle-Kiski HOPE center, men who are frequent batterers will blame the alcohol abuse to excuse their actions (Alle-Kiski HOPE center), or they blame their spouse's drinking and their need to control a drunk spouse (Women's Rural Advocacy Program). Between twenty-five and fifty percent of all domestic incidents begin with drinking (Tennessee Association of Alcohol, Drug and other Addiction). How Does Alcohol Abuse Increase Domestic Violence? Alcohol abuse increases domestic violence in several ways. 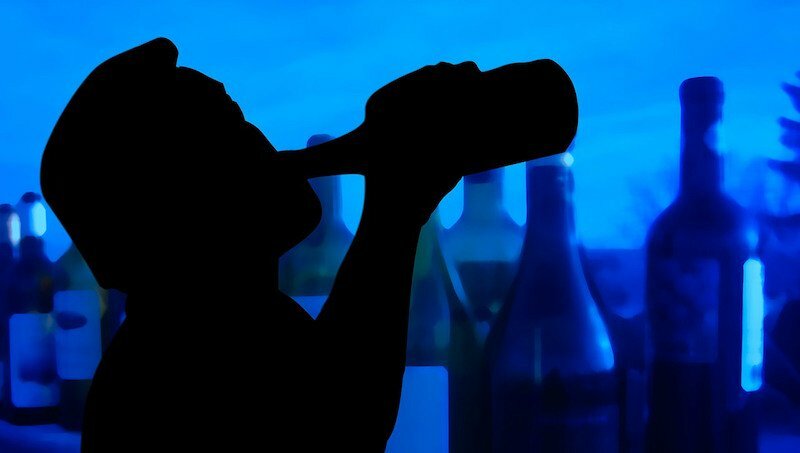 According to the Tennessee Association of Alcohol, Drug and other Addiction, violent men are three times more likely to abuse alcohol or drugs. Additionally, chronic long-term alcohol abuse creates stress by way of financial pressure, behavior changes, and lowered social standing in the family unit. Not only is there increased strain, but alcohol limits the control the drinker has on their behavior and may substantially reduce the ability to cope with stress. When someone drinks heavily, the desire to drink sometimes is all they think about, and if the sober spouse attempts to stop the drinking, they may spark a violent episode. Alcohol abuse and domestic violence, a mixture of loosed cuffs and terror, are an unhappy mix. One must keep in mind that alcohol abuse, no matter what the claim of the abuser, is not an excuse or reason for mixing alcohol abuse and domestic violence. Curing the alcoholism alone, like bandaging an infected wound, does not stop the violence, as the violent tendencies will still exist. (Women's Rural Advocacy Program). It is necessary then to treat both problems of alcohol abuse and domestic violence at the same time to create lasting changes in behavior. While this is known, both intimate partner violence programs and alcohol abuse programs often lack the resources to cross-educate with one another. What this means is that people in this everyday situation must dual enroll and sometimes that is extremely difficult. The National Institutes of Health, National Library of Medicine says women who abuse alcohol are more likely to have a history of physical and emotional abuse going back to childhood then non-alcoholic women (Covington and Kohen, 1984; Miller et al., 1993; National Institutes of Health, National Library of Medicine; Rohsenow et al., 1988; Hein and Scheier, 1996). This correlation is underscored by statistics that prove abused women are fifteen times more likely to become chronic drinkers than women who are not involved in the combination of alcohol abuse and domestic violence (Shipway, 2004; Stark and Flitcraft, 1988). Conversely, women without abusive partners at the time they start abusing alcohol have a higher chance of falling foul of domestic violence (Miller et al., 1989). Not only women or the battered spouse suffer from alcohol abuse in combination with domestic violence. Children suffer too. One major study indicates that children from homes that have a history of drinking or drug abuse are more likely to suffer from physical, emotional, and sexual abuse (U.S. Department of Health and Human Services, Administration for Children and Families, 2002). Often the drinking parent cannot protect the children from any abuse that they might have directed at them, or even be the cause of the injury, as sometimes a battered woman will take out her anger on the children for both the alcohol abuse and domestic violence abuse, instead of fighting back. This type of neglect and abuse of children out of frustration is as high as eighty percent of all cases of reported childhood abuse (McCurdy and Daro, 1994). The troubling aftermath of this is that such children will often have their drug and alcohol problems as they attempt to cope with the memories of the abuse, and even if the attempt to leave the abusive situation the temptation for addiction follows them (County of Yolo). These children report that forty percent of the time the abusive male in the household who drank was more violent during his binges then when sober (Roy, 1988). These statistics may impact millions of children every generation, making domestic violence and alcohol abuse a genuinely huge problem. It is not a far stretch to see why modern society needs to have entwined alcohol abuse and domestic violence recovery programs. The connections between the two sets of behaviors are clear and well documented. Chronic drinking to escape problems leads to stresses and behavior changes that can cause violence against other family members to seem acceptable. Drinking does not cause abuse, but it does enable it. The abuser usually blames the alcohol for his actions, be it either with his drinking or that of his spouse. As the drinking escalates so often does the violence of individual abusive episodes. The increase occurs because of the twin factors of increased stresses within the family unit and the inability to cope with those stresses in a fashion that is socially acceptable. Not only can this impact the abuser, but the assaulted spouse and the children who witness it may end up abusing alcohol too. Click below to see contributions from other visitors to this page about the impact of alcohol abuse and domestic violence on their lives. "Violence Between Intimates: Domestic Violence." NCJ Pub. No. NCJ-149259. Washington, DC: Bureau of Justice Statistics. "Linkage of Domestic Violence and Substance Abuse Services, Research in Brief, Executive Summary." U.S. Department of Justice. Connecticut Clearinghouse. "Making the Link Between Alcohol and Other Drugs and Domestic Violence" Plainville, CT: A Program of the Wheeler Clinic. www.ctclearinghouse.org. County of Yolo. "Domestic Violence and Substance Abuse." Covington, S.S., and Kohen, J., Women, alcohol, and sexuality. Advances in Substance Abuse 4(1):41-56, 1984. Hein, D., and Scheier, J., Trauma and short-term outcome for women in detoxification. Journal of Substance Abuse Treatment 13:227-231, 1996. McCurdy, K., and Daro, D. (1994) "Current Trends in Child Abuse Reporting and Fatalities: The Results of the 1993 Annual Fifty State Survey." Chicago: National Committee to Prevent Child Abuse. Miller, B.A. ; Downs, W.R.; and Testa, M., Interrelationships between victimization experiences and women's alcohol use. Journal of Studies on Alcohol 11(Suppl. ):109-117, 1993. National Institutes of Health, National Library of Medicine. "Effects of Domestic Violence on Substance Abuse Treatment." www.nlm.nih.gov. Rohsenow, D.J. ; Corbett, R.; and Devine, D., Molested as Children: A hidden contribution to substance abuse? Journal of Substance Abuse Treatment 5:13-18, 1988. Roy, M., Children in the Crossfire: Violence in the Home: How Does It Affect Our Children? Deerfield Beach, FL: Health Communications, Inc., 1988. Shipway, Lyn. (2004) "Domestic Violence: A Handbook for Health Professionals." Stark, E., and Flitcraft, A., Violence among intimates: An epidemiological review. In: Van Hasselt, V.D. ; Morrison, R.L. ; Bellack, A.S.; and Herson, M., eds. Handbook of Family Violence. New York: Plenum, 1988. pp. 159-199. The National Center for Biotechnology Information. "Substance Abuse Treatment and Domestic Violence." https://www.ncbi.nlm.nih.gov/pubmed/22514831. U.S. Department of Health and Human Services, Administration for Children and Families. (2002) "Substance Abuse and Child Maltreatment." National Clearinghouse on Child Abuse and Neglect and Information. Women's Rural Advocacy Programs. "Alcohol Abuse and Domestic Violence." www.letswrap.com.